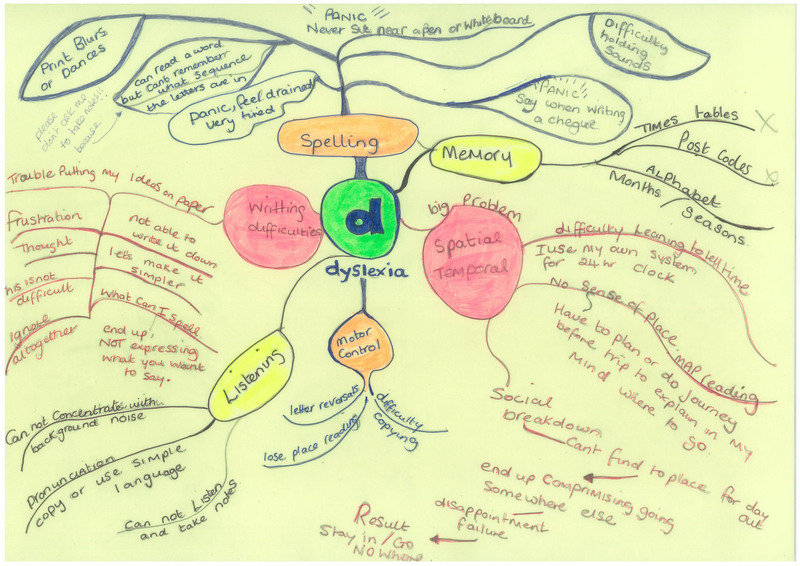 The dyslexia maps included opposite were created by dyslexic adults. The process of creating them was a powerful way of coming to terms with years of struggle. 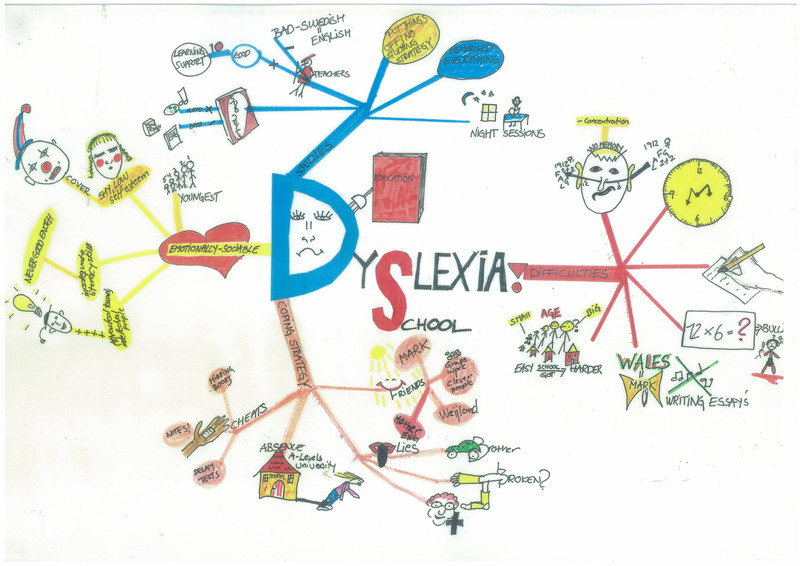 Distilling their experiences down onto one A3 sheet of paper helped people to accept their dyslexia and move on to create more positive versions of themselves. Although there are many overlapping themes within the maps, each map is different from the others. 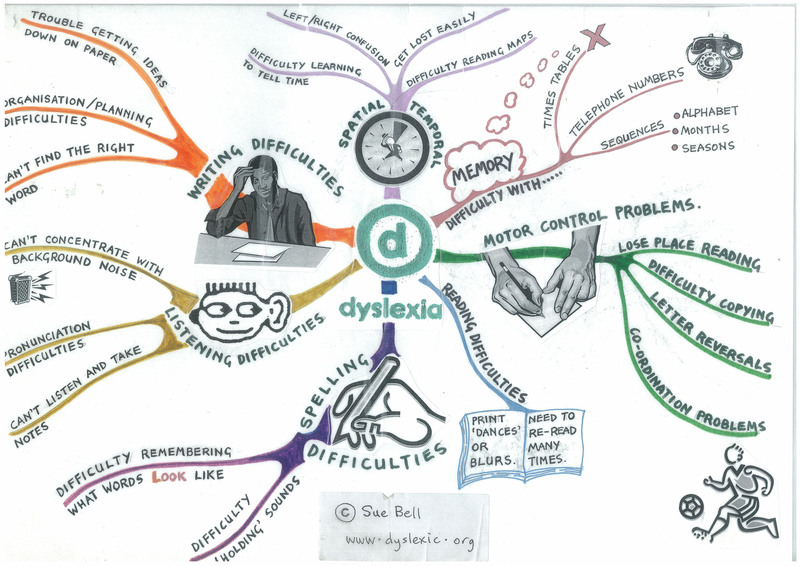 This shows us that each dyslexic person has a unique set of experiences. 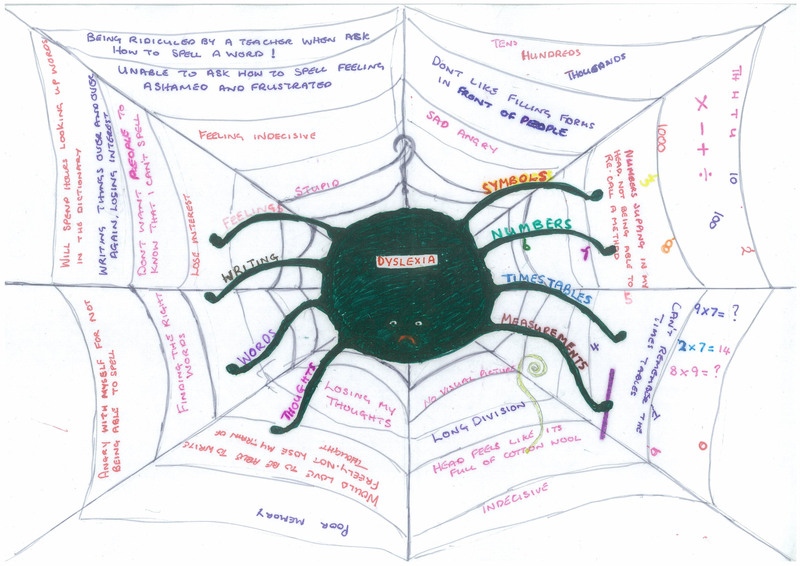 Use these maps to inspire and create your own map. 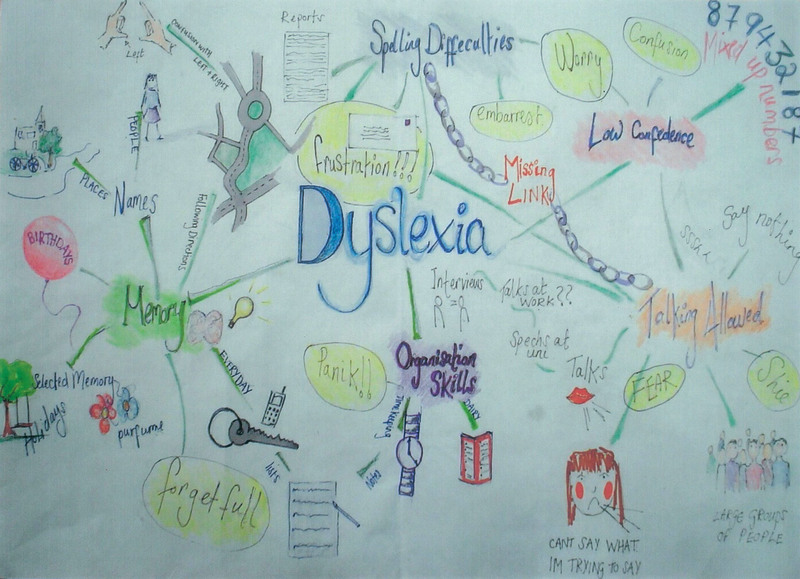 All you need is a large piece of paper, pencils and coloured pens. 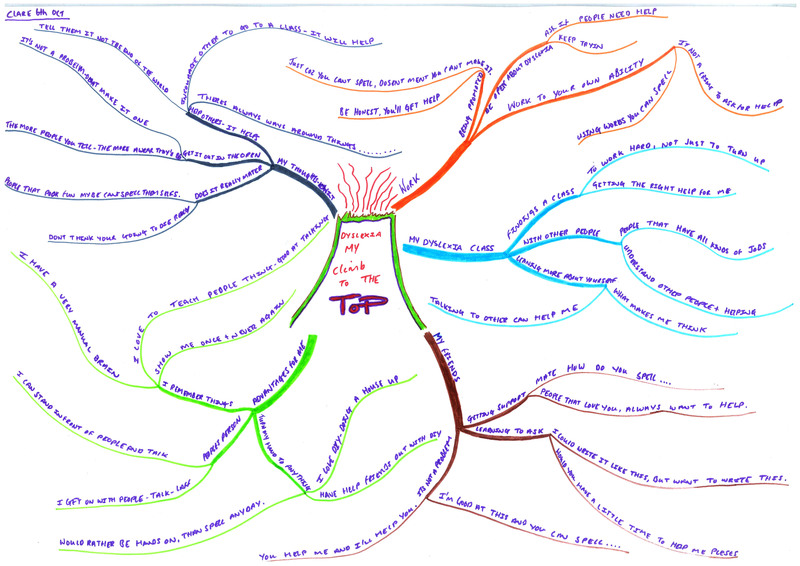 Create your map over time - new things will come to you this way. 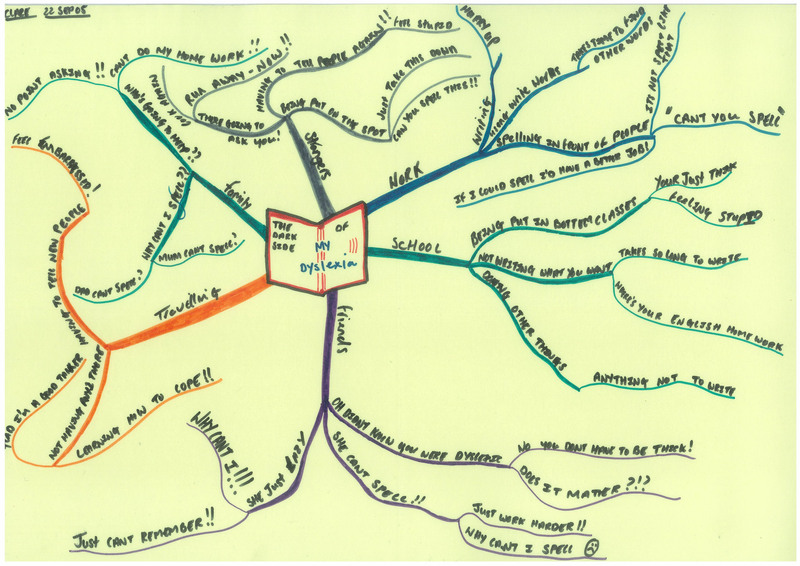 If you find it difficult to know where to start, use Map 1 to help you create branches based on the different areas. Don't just focus on the negative. 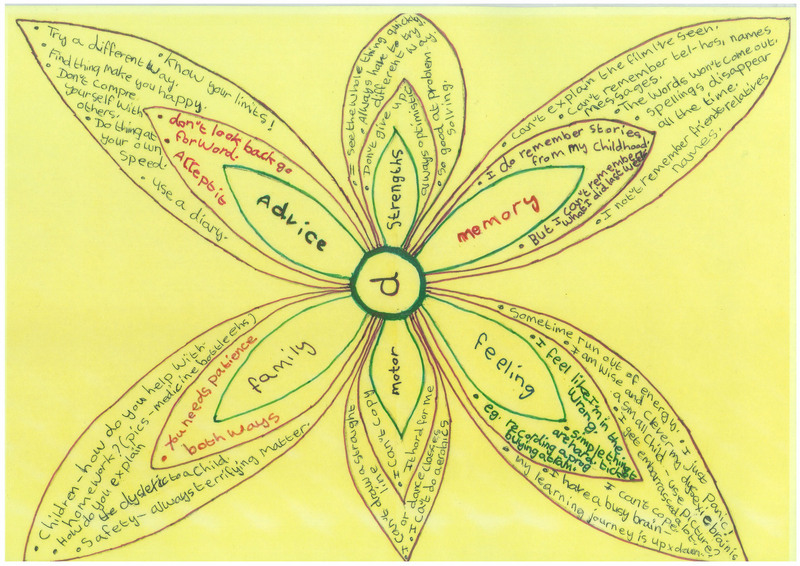 Once you've mapped out your difficulties, map out your strengths (see Maps 7a and 7b below). ©2011 Susan Bell. All content and images are copyright unless otherwise stated and cannot be reproduced without permission.